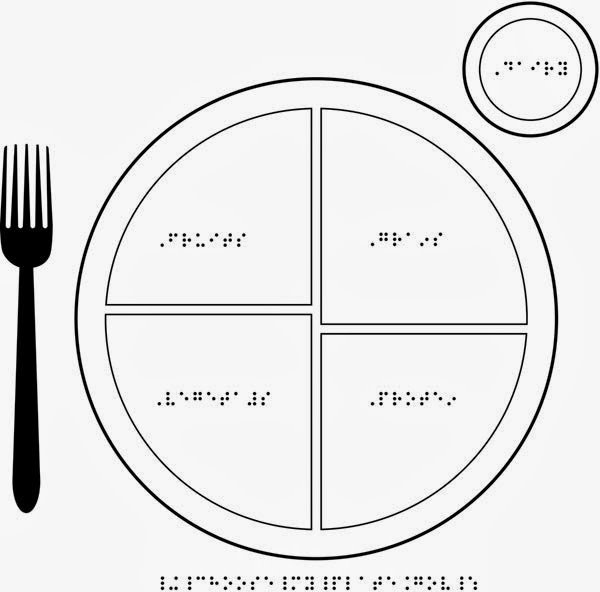 Good nutrition and physical fitness are even more important to children with visual impairments. The need for fitness in children who are blind might be greater because of the increased energy required to complete activities of daily living[iii].Children who are visually impaired consistently exhibited lower levels of fitness than their sighted peers[iv]. The good news is that developing healthy lifestyle habits early, including good nutrition and exercise, can lower the risk of becoming obese and developing related diseases such as heart disease and type 2 diabetes. The CDC also maintains that schools play a particularly critical role by providing opportunities for students to learn about and practice healthy eating and physical activity behaviors[v]. 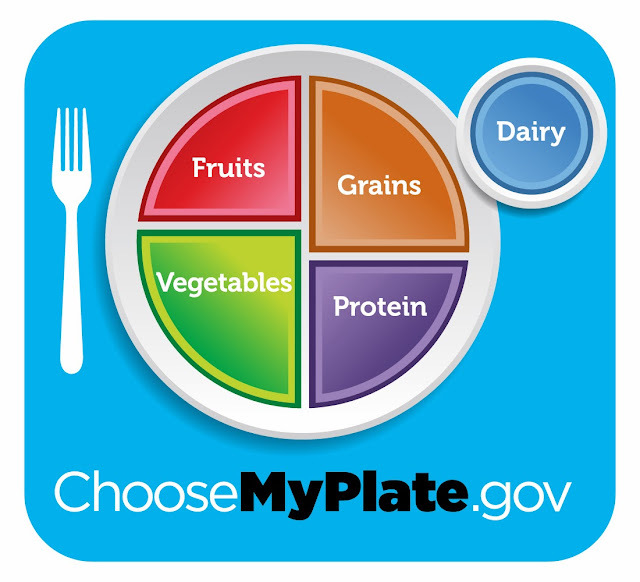 So, take advantage of the free MyPlate tactile graphics in APH’s TGIL and print some off for the kids to take home over the holidays. Also, check out some of the online resources listed below for additional information, games, and activities to use in classrooms and at home. [ii] Ogden CL, Carroll MD, Kit BK, Flegal KM. Prevalence of obesity and trends in body mass index among US children and adolescents, 1999-2010. Journal of the American Medical Association2012;307(5):483-490. [iii] Buell, C. E. (1982). Physical education and recreation for the visually handicapped. Reston, VA: American Alliance for Health, Physical Education, Recreation, & Dance. [iv] Blessing, D. L., McCrimmon, D., Stovall, J., & Williford, H. N. (1993). The effects of regular exercise programs for visually impaired and sighted schoolchildren. Journal of Visual Impairment & Blindness, 87, 50-52. Lieberman, L. J., & McHugh, B. E. (2001). Health related fitness of children with visual impairments and blindness. Journal of Visual Impairment & Blindness, 95(5), 272-286. Skaggs, S., & Hopper, C. (1996). Individuals with visual impairments: A review of psychomotor behavior. Adapted Physical Activity Quarterly, 13(1), 16-26. Winnick, J. P., & Short F. X. (1985). Physical fitness testing of the disabled. Champaign, IL: Human Kinetics. Winnick, J. P., & Short, F. X. (1999). The Brockport physical fitness test. Champaign, IL: Human Kinetics.